I have this great little Taschen book on vintage fashion and beauty ads. I got it years ago, before the Mad Men craze hit. I loved it then but even more now since the show. I feel like I get to see what it was like behind the scenes at the agencies that made these ads. 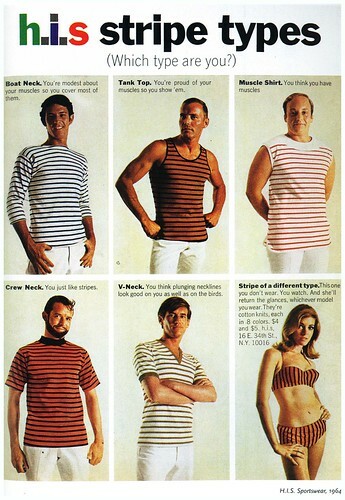 Yes, I know Mad Men is fictitious, still I can imagine the discussion that went into choosing the types of people who would wear these striped shirts.